Several members of the CentOS team will be at Scale 12x (http://bit.ly/1hEH6t5) in Los Angeles, California on February 21st to 23nd, 2014. We will be at the Red Hat Community booth/table on both Saturday and Sunday (22nd and 23rd) with free swag (teeshirts, stickers, etc). We will have a Birds of a Feather session, details of which will be provided at the table/booth when finalized. 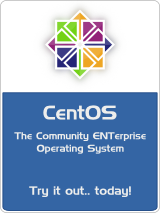 Finally, we will also have a talk titled "CentOS Project Q&A Forum" (http://bit.ly/1bQ5rVS) on Sunday (23rd). If you are in the Los Angeles area, please stop by and see us at Scale 12x !!! ELRepo has a Main Line kernel section to allow using the latest kernel with CentOS-6. I use this kernel on my laptops and workstations as it usually means better hardware detection and battery life, etc. If you have the need to use the proprietary NVIDIA drivers with this kernel, as I do on one of my laptops, then you would need to install the latest NVIDIA drivers for each kernel. No one (that I know of at least) maintains an RPM based module for the kernel-ml series, so downloading the latest version of the drivers from NVIDIA's site is how I handle this situation. Sometimes with a new kernel tree is begun, in this case the 3.13.x kernel tree, the NVIDIA drivers as posted with not work. This is the current situation with the 3.13.2 kernel (as installed via ELRepo on CentOS 6.5 ) when using the latest NVIDIA drivers (currently version 338.31). On the web, I found a good blog entry on how to generally fix the issue, so I thought I would go over how to make it work on CentOS-6. Enable the ELRepo repository (if required) using their instructions here. Install the ELRepo kernel-ml via their instructions here. Download the latest NVIDIA Drivers from the NVIDIA site. Download the combined (2nd) patch from the above blog and save it (right click, save link as) into the NVIDIA-Linux-x86_64-331.38 directory created when extracting the driver above. Reboot into the new kernel (will get console mode, login as root) ... then go to the NVIDIA-Linux-x86_64-331.38 that contains the patched code.